Here we are, at the start of our second WTT season! 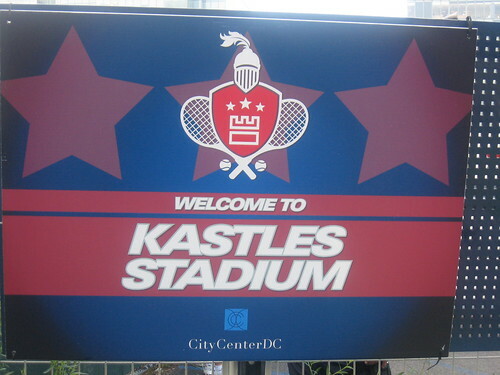 The Kastles will face off with Philadelphia tomorrow night in the new tennis stadium at the corner of 11th & H Streets. Short-benched by the Wimbledon tennis final (a quick aside on tennis, holy crap! Between Venus vs. Serena on Saturday and the brink-of-insanity matchup on Sunday, could tennis be any more exciting right now?!) the Kastles have lost two incredibly close matches to Sacramento and Newport Beach. Tomorrow night, they’ll face off with the Philadelphia Freedoms, lead by Venus Williams. Unfortunately, we won’t have a rematch with Serena (are you looking at her titles?) in the home opener, but Wimbledon champ Serena will be playing in several matches at the Kastles Stadium this July, so keep an eye out. Also making news for the Kastles are Leander Paes, who was part of the winning team at the French Open in Men’s Doubles, and Rennae Stubbs, who was part of the 2nd place team in Women’s Doubles at Wimbledon this weekend. If you haven’t, check out Max’s interview with Kastles manager Murphy Jensen. 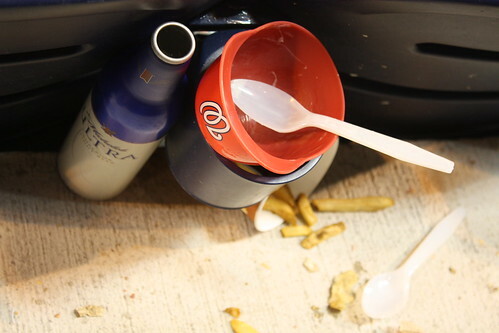 “I think what’s so frustrating about the Nats this season is that, for the most part, they’re an eminently watchable ballclub.” That’s pretty close to word for word what got said at the poker table this weekend. Yes, the Nationals are a lot more watchable this season. Heading into the All-Star break, though, they’re the worst team in the league this year. Between rookie pitching, spotty offense, and defense that can be precarious sometimes, the Nats have never seemed to operate with all three legs of that stool in place. But what about the trade from last week? How have the newest Nats fared? Well, since suiting up, Nyjer Morgan’s made several highlight reels with his defense in Center, plus has picked up 2 stolen bases in three games, to go along with a couple runs and an RBI. That’s a pretty decent start. Sean Burnett has pitched two scoreless innings and only given up a single hit. I’d say they’re both doing just fine. Meanwhile, Hanrahan’s given up four hits and two runs in two appearances in Pittsburgh, and Milledge has yet to play. Fair to say, I think we got the better end of this so far. Just one league game in the past two weeks, as D.C. United plays in the U.S. Open Cup. That game was a tie with the Columbus Crew, which was just enough to knock United out of first in the Eastern Conference. The big story, though, was an Open Cup match that very nearly went awry for United. The Ocean City Barons, from the PDL (three tiers below the MLS on the Soccer tree) held D.C. United scoreless for 74 minutes, before two late goals put United over the top. United will play the Harrisburg City Islanders on Tuesday at the SoccerPlex in the quarterfinals of the US Open Cup. It will be two more weeks before the semi-finals of the Open Cup, due to the scheduling nightmare that is handling five or six different league schedules. It’s been tough times for the Freedom, with three straight 1-goal losses to the Sol, Red Stars and Breakers. The almost-capacity crowd at the SoccerPlex on Sunday wasn’t enough to get the Freedom past the Sol. Marta, probably just about the best player in the womens’ game today, managed to eke out a single goal for the Sol despite an excellent defensive press against her. The Freedom just couldn’t come up with a big score, and so in the 91st minute, when Marta fired one in from the top of the penalty box, that was all she wrote. 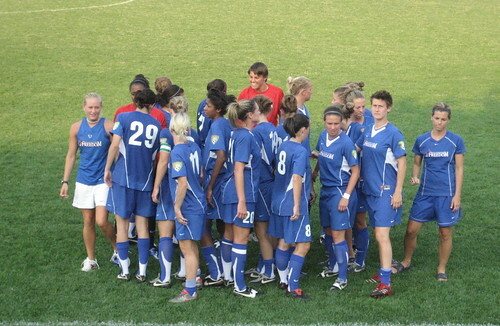 Freedom have 10 days off now, before a match against Sky Blue FC in New Jersey on the 15th. There are just six games remaining in the season before the end of the regular season, so hurry up and get to one! The Freedom will play another doubleheader with D.C. United on the 18th. Two soccer games for the price of one! What’s that about old players coming back to bite you? Chamique Holdsclaw and the Atlanta Dream did just that on Friday, putting up 18 against the Mystics, on her way to a 72-65 victory over the Mystics. They forced 28 turnovers on the Mystics, and the defense just couldn’t keep pace with the Dream’s offense. This, coupled with a couple additional losses to Phoenix and Chicago has dropped the Mystics in the standings from first down to fourth. The Mystics play the Lynx on Tuesday night in Minneapolis, then head home for a six game homestand for most all of July. With the exception of a noontime game against San Antonio, the rest of the games start at 7pm at the Phone Booth.